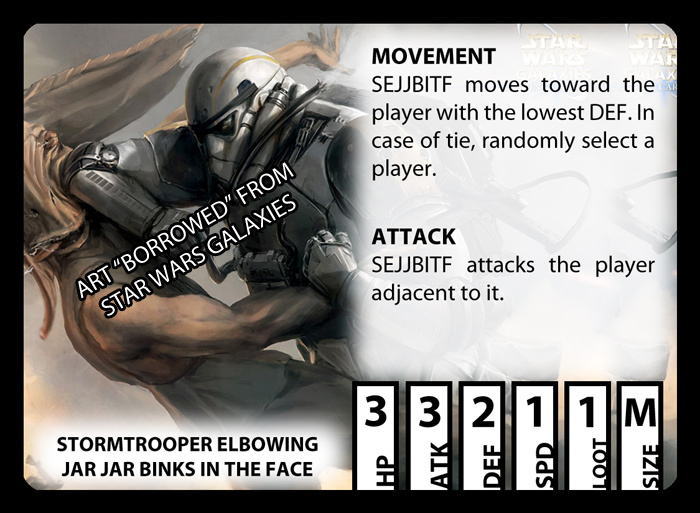 Here I've taken some art from Star Wars Galaxies and put it in the Character card template. Look at that elbow! All the pertinent info is here and it's simplicity city. It's clear that the artwork for the card will have to be the full card, but have the main image on the left hand side. 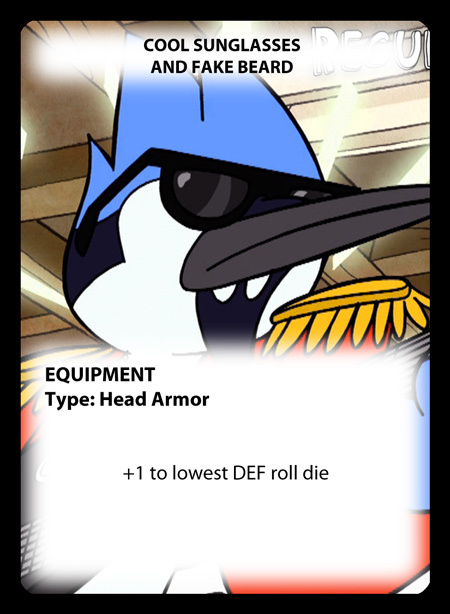 For the Loot cards or Equipment cards, it will be vertical but be similar as you can see below with imagery "borrowed" from Regular Show. This art style will very likely be closer to what I will draw for this game.